It’s been a while, I know. But we’re back and what better way to ease into a new week than with cake? And it’s not just a cake. It’s quite simply the best healthy carrot cake I’ve ever made. 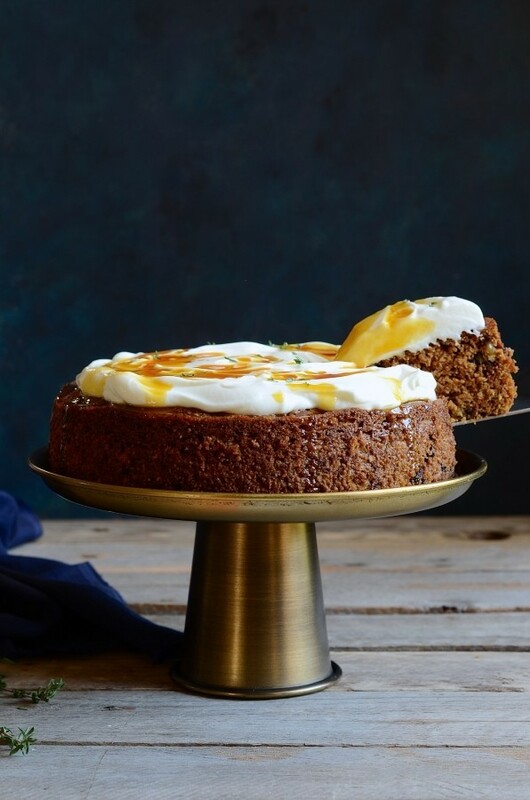 As a ‘professional’ cake-eater, the quest for the ultimate healthy yet ridiculously delicious carrot cake recipe has been an ongoing challenge. With this version however, I can finally say, my work here is done. 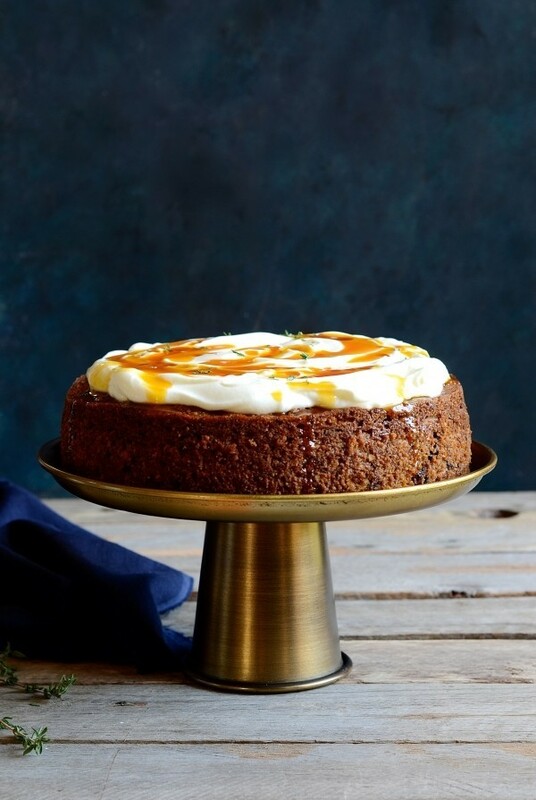 Frosted with creamy swirls of double thick Greek yoghurt and a citrusy orange-honey glaze, it’s a definite winner. If Cake for breakfast sounds too good to be true, this carrot cake might just convince you otherwise. Before I started baking myself, I assumed that choosing a slice of carrot cake over a rich chocolate torte, would be the healthier option. This was before I realised that apart from the carrots and nuts, there was little else that smacked of healthy. If like me, you like to have your cake and eat it, then this recipe could possibly be the answer. Adhering to my 80/20 food rule, there’s loads of nutritional benefits to eating this cake for breakfast. 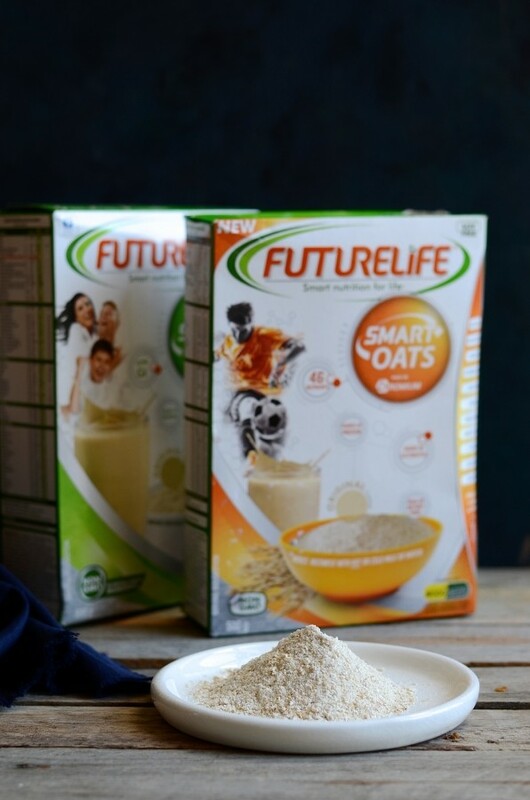 In the mix is one of South Africa’s favourite breakfast cereals, FutureLife Smart Oats. 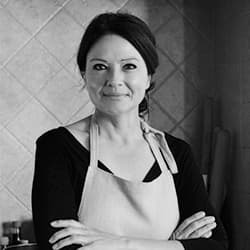 I love getting creative with new food products and using them in unconventional ways. I recently sampled the scrummy range of FutureLife breakfast cereals. To be honest, I originally intended making a fruit crumble with the chocolate granola but unfortunately we scoffed the lot before it reached the mixing bowl. So good! Moving onto the Smart Oats, I figured a breakfast cake with vegetables sounded like an easy sell for fussy eaters or anyone looking for a healthy tea time treat. About the cake: The crumb texture is lighter than a conventional carrot cake but still moist and very carroty. For the dry ingredient quota I’ve used wholemeal flour, almond meal and finely ground Smart oats. Notes of cinnamon and mixed spice add warm nostalgia to this classic bake. As we’re keeping things wholesome, the frosting is replaced with another breakfast staple, Greek yoghurt. For a sweet finish, the cake is drizzled with a sticky orange infused honey reduction. The result – A breakfast cake worth waking up to. Side note : Another convincing argument as to why this is a ‘must make cake’ – it’s a whiz in a blender cake which means no fussy creaming and folding steps and less washing up. Grease and line a 22cm round cake tin with baking paper. Place the carrots in a large processor and blitz until fine. Add the orange zest, sugar, honey, oil, buttermilk and eggs to the carrots and blend until well combined. Sift together all the dry ingredients, except the walnuts and add to the carrot mixture. Blitz briefly until the flour is incorporated. Transfer the batter to the baking tin and bake for 55-60 minutes. Check for doneness before removing from the oven. Allow to cool in the tin for 15 minutes before turning out onto a wire rack. To make the orange syrup, place the zest, juice ad honey in a saucepan. Boil hard until reduced and sticky. Place the cooled cake on a cake stand and spread the yoghurt generously over the top. Drizzle with orange syrup and scatter with sprigs of fresh thyme. Hi, Really looks good. I don’t have a sweet tooth hence my love for carrot cake vs chocolate cake. I will always chose a healthier option so this is a definite print and try – i’ll let you know how it goes. Ps I also love the smoothie recipe, they are my staple diet. Without a doubt, one of our favourite cakes at the moment. Hope you’re going to love it as much as we do. Vegetable cakes are so versatile. I sometimes substitute the carrot with well drained zucchini, which is just as delicious and moist. Grated lemon peel also adds great flavour. This cake is not overly sweet either. Healthy!? For real!? This looks waaay too perfect to even be the slightest bit healthy. But hey, I’m not gonna argue with you. Definitely need to try this soon! Such a eye grabbing title, I just had to read it. 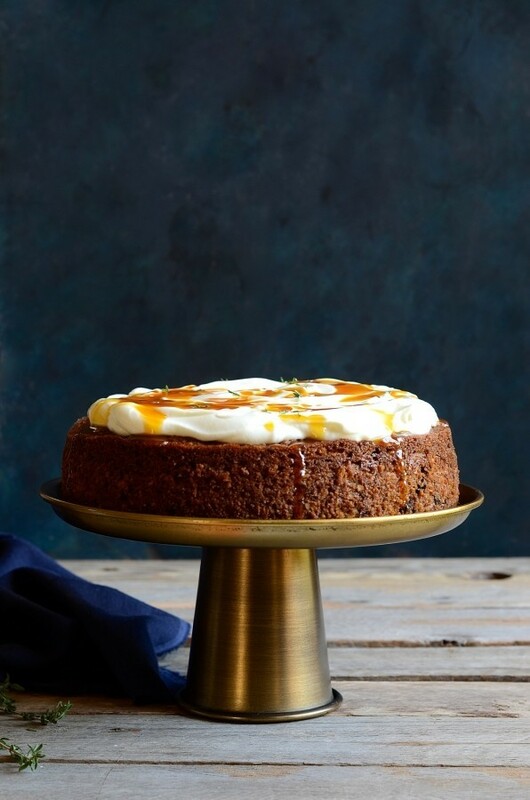 This carrot cake recipe has a lot of ingredients though, but I still love the end result. Thanks for sharing this. You’d think so, right? It’s so packed full of good-for-you ingredients, including heaps of carrots and oats. I love using thick Greek yoghurt in place of the usual cream cheese frosting. Definitely ticks the right boxes for me. It does have quite a few ingredients but the quick blender method makes it super simple to put together. Hope you give it a try sometime soon. Thanks for stopping by Karl.